We insist on the highest quality. Through numerous innovative tests and real life usage situations we are continually improving our quality. Ua Floors engineered flooring has become the number one name in Taiwan for engineered and environmentally safe flooring; receiving recognition from top-level distributors as well as designer and architectural companies across Europe , North America , and Asia . As we are researching and developing new hardwood flooring ideas, Ua Floors is also working to improve our existing products. As a result of our diverse product line and stringent quality controls, Ua Floors is known and preferred by consumers worldwide for having some of the finest quality hardwood flooring in the industry. We go all-out to produce innovative and functional hardwood flooring in a variety of styles and colors to keep up with today’s changing lifestyles. Highly efficient production methods allow us to offer you top quality wood flooring products at a sensible price. Targeting both residential and commercial consumers, Ua Floors provides an extensive variety of styles, colors, finishes, and wood species from all over the world. 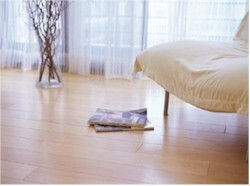 Every piece of Ua Floors flooring is guaranteed for quality. Through strict and uniform standards of quality, we produce a superiorly constructed product while offering you unsurpassed customer service and one of the best warranties in the industry.